Some days you just can’t make it to the gym and you need to squeeze a workout in at home – like today! 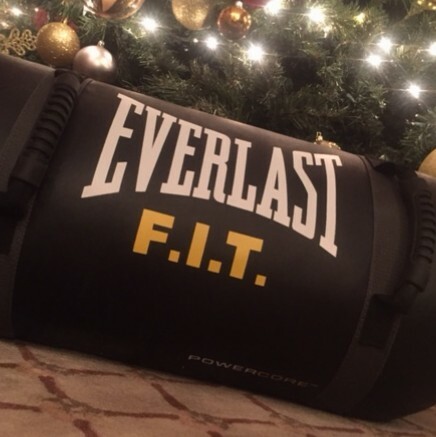 So, I thought I’d show you what I did with the Everlast POWERCORE F.I.T. Bag today. The bag ROCKS!! (Great Christmas Gift Idea – hint, hint!!) I just got it last week and so excited about adding this tool to my fitness tool box. The POWERCORE F.I.T. Bag weighs 20lbs and has 5 handles so you can hold it several different ways, which make it comfortable to hold in a variety of positions. For example, you can hold it in the middle with both hands to do a high pull for shoulders. You can hold it with each hand on the side handles to do shoulder presses. You can clean it by holding the middle handles, which is similar placement to a clean with a barbell. There are endless ways to use this core bag, so feel free to modify and play around with these exercises. If you don’t have a F.I.T. 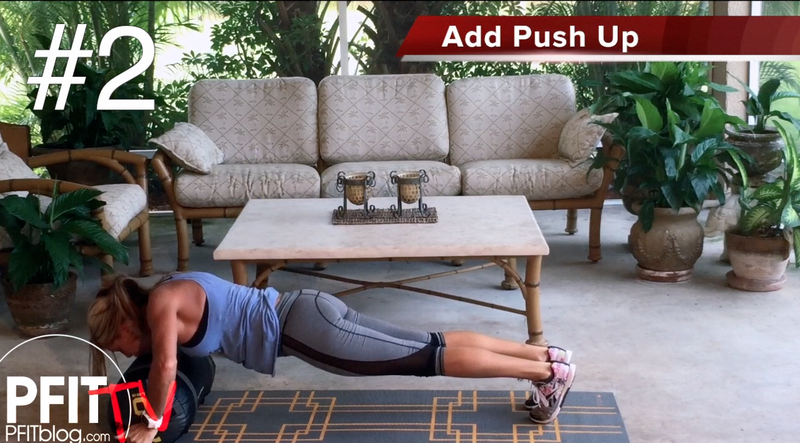 Bag or sand bag, you can do these exercise with other tools like a med ball or slam ball. However, I loved the “awkwardness” (and I mean that in a good way! lol) and weight of the POWERCORE F.I.T. Bag the distribution of weight made me work harder. All of theses POWERCORE sequences (complex movements) start with a pull over, which works the back, chest and triceps as you pull forward and the front delts (shoulders) on the return. Then, you will start adding exercises, building upon the first exercise and end in one big functional movement where all exercises are synergistically combined. This will be the format of all 3 of these complex movements. Watch the video demonstration to see each progression. 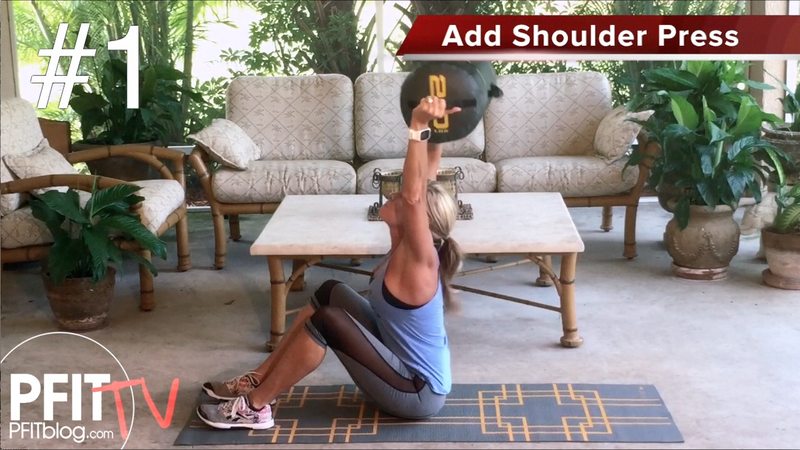 This first functional complex exercise targets the core, abs and shoulders. It also will improve flexibility and range of motion in the shoulders. Tip: Be sure to keep your back straight and push bag up directly overhead. Most people will want to keep the bag slightly in front of them due to limited flexibility in the shoulders. Push your self to complete good form. I have SUPER tight hamstrings and a hurt back – if I can do it, anyone can. lol It’s a stretch for me, but it was really good for me too! I struggled through it, but I can tell it is exactly what I needed!! Now we take things up a notch, with more core and chest work. TIP: If you try this and aren’t able to roll up, keep trying. Try moving your feet further out to give you more leverage and playing with resistance – or just try it with no weight at all. You’ll be surprised how quick you improve if you keep trying. Now we bring the legs and glutes into the mix by adding The next exercise works the full body. TIP: I’m not too happy with how my form looked in the video, but I had done it so many times by this point I was exhausted. lol However, you really can’t go wrong with this exercise. Each movement is a functional movement you do throughout the day. We sit up out of bed, we roll up off the ground, we squat down to sit and put objects up on high shelves. This exercise is a great for improving the quality of life and keeping you in a full range of motion. Beginners, just try the steps with no tools. Try to go as fast as you can. If you have to cheat (on the roll up part), cheat! You are still working out – and you’ll get stronger! 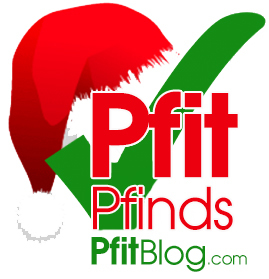 I’ve tried a lot of products out this month, but this one definitely wins a spot on my Pfit Pfinds Fit Gift List! It’s $79.99 and is SO versatile! Let me know if you get one!! We actually plan to share the Everlast love and bring them to the gym today to put some clients through some FIT bag exercises too. Check it out!! 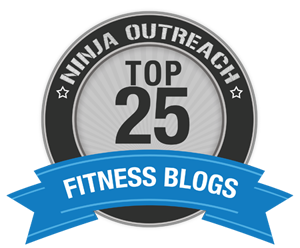 This post is sponsored by FitFluential on behalf of Everlast FIT. Nice! 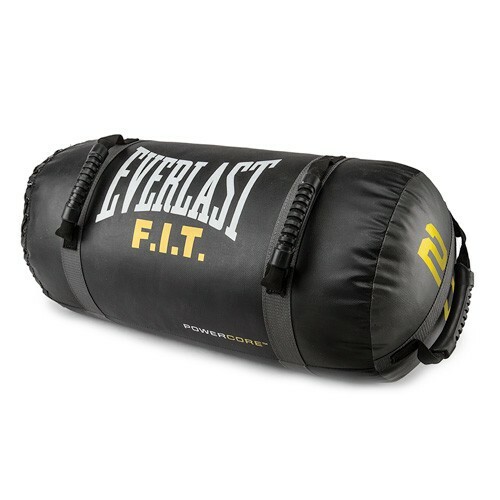 I actually think my gym has one of these bags. I can’t wait to try some of the workouts you mentioned. awesome!!! Let me know how it goes!!!!! It was quite challenging!! Love that bag!! !